Composed by John Williams. Arranged by James Curnow. Concert Band; Performance Music Ensemble; Single Titles. Symphonic Band. Movie. Part(s); Score. 350 pages. Duration 10:07. Belwin Music #00-WBRP1009. Published by Belwin Music (AP.WBRP1009). 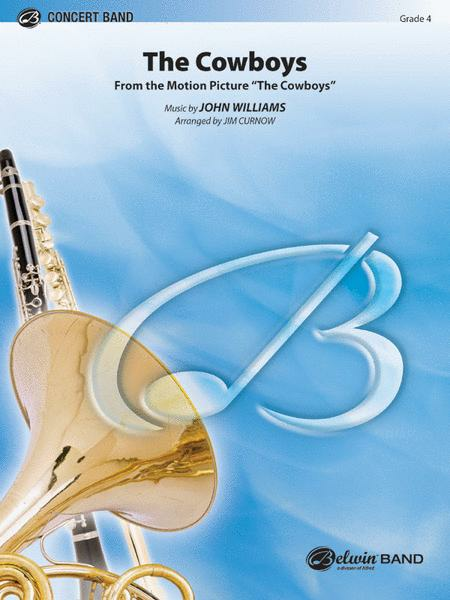 John Williams's movie themes have become standard repertoire for concert band, and this gem is from one of his earlier movies. Powerful Western themes and colors are blended into a stirring rendition for symphonic band, full of warmth and texture. A perfect concert selection from a masterful composer! (10:07).